Wavelength of 1645 to 1655 nm at 15 dB or less. Lightweight at just 2.2 kg. 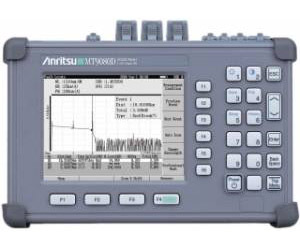 Compared with the Anritsu MW9076 series and other traditional OTDRs, the MT9080 Series ACCESS Master is lighter and more compact for easier use in the field. Achieves 1 m event dead zone, which is effective for short-distance optical fiber evaluation in FTTx applications. Sufficient dynamic range performance for installation and maintenance of FTTx fibers (50 km or shorter).